With a plot interwoven with secrets and twists, young Maggie’s story of homeschooling and escape shines light on her eight siblings’ inner worlds. After years of raising her eight siblings in near isolation, nineteen-year-old Maggie decides to find employment and leave the house. 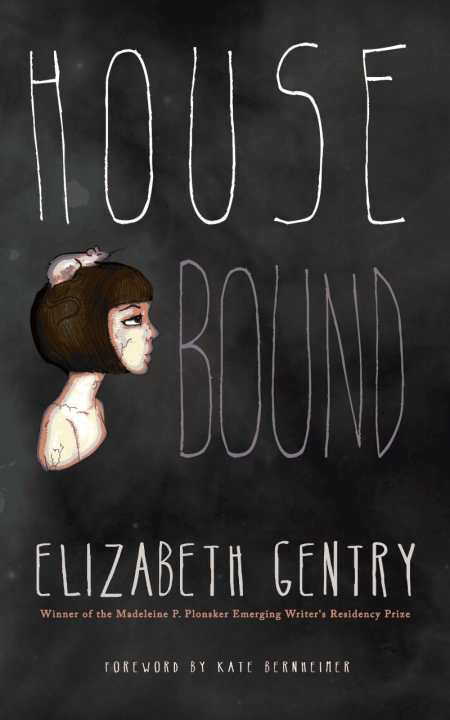 In Elizabeth Gentry’s debut novel, Housebound, the family’s insular world is thrown off balance by this announcement. For Maggie, “leaving home felt like tunneling out of a snow that had kept everyone housebound so long they had run out of things to talk about.” Once she makes her decision, the family’s routine is altered. Bedrooms are changed, dinner preparation schedules shift, and her siblings back away in resentment and shock. Homeschooled, the children stay close to home. A weekly trip to the library is their only escape. Hazy memories of being with neighborhood friends and of their distant grandparents appear now and then, but the children can’t be sure if these flashes are real, dreams, or things they read in a book. Secrets lurk beneath the surface, and Gentry is a patient storyteller. Even housebound, the characters have secrets. There is the athlete who is always running from place to place, the theologian who is lost in his mind yet seems to know truths before they are said, and the quiet and restless mother who sleeps soundly only when her husband isn’t beside her. Even the house has a secret window that leads to a room that goes unnoticed until Maggie’s declaration. Gentry quickly moves from Maggie’s thoughts to the father’s and the siblings’ inner worlds. No one is safe from this microscope. At first, a glass letter holder seems like another object in a large house. By the end of the novel, its meaning radiates with heat. Maggie’s departure ruptures the insular world of her family. The unspoken rules that have governed this family slowly slip away. Each family member’s savory secret is unveiled without fanfare. Parents and children have been locked away, not only from their neighbors but also from one another. When the “truth takes shape,” doors finally open, and the siblings find themselves in an “unknown territory where language might be allowed.” The world cannot be ignored or shut out. Housebound or not, the world is waiting.